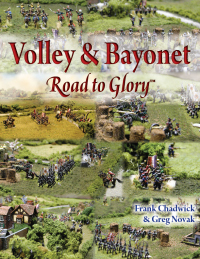 Over the years I have refought a great number of historical battles with Volley & Bayonet. However, we also use the “Road to Glory” scenario system to generate games. Most recently we used it to develop an 1806 game. The French forces were based on Davout’s III Corps, reinforced by a small Reserve Corps of two divisions under Lefebvre. 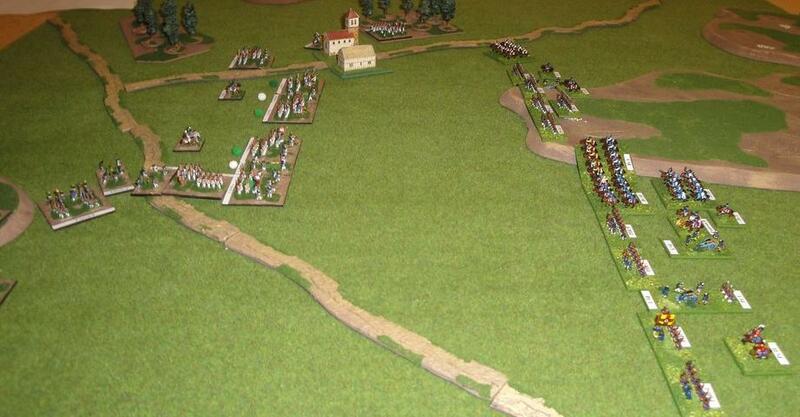 In total this small army would comprise 28,000 infantry, 3,000 cavalry and 72 cannon. However, initially onlyin 16,000 infantry, 1,000 cavalry and 48 guns were available. In contrast Prussians and Saxons, under Prince Ferdinand of Brunswick, advanced in four wings and would eventually have 25, 000 infantry; 7, 500 cavalry and some 120 cannon on the field. Below, the situation around 2pm. The Prussians have the burden of attack being generally concentrated. An additiotadditional division, provided by the Saxons was some distance away and would not be available to support the Prussian attack, at least initially. Indeed, it would not arrive to at least 4pm. Below, Morand’s Division shown in the foreground and attempts to protect the French left flank from being outflanked. A portion of Friant’s Division can be seen in the distance, around Langenheim. The Prussians comprised several large divisions each comprising infantry and cavalry. 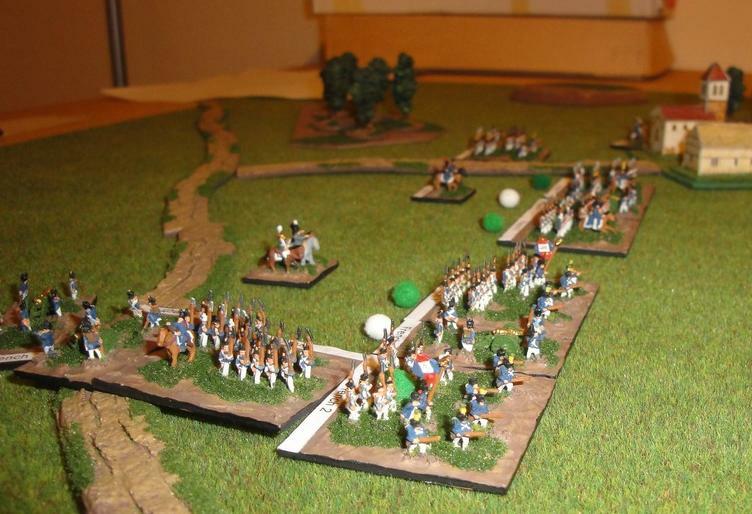 Below, a section of the Prussian army advances. Each infantry regiment contained around 1, 500 men and was bolstered by a pair of light guns. 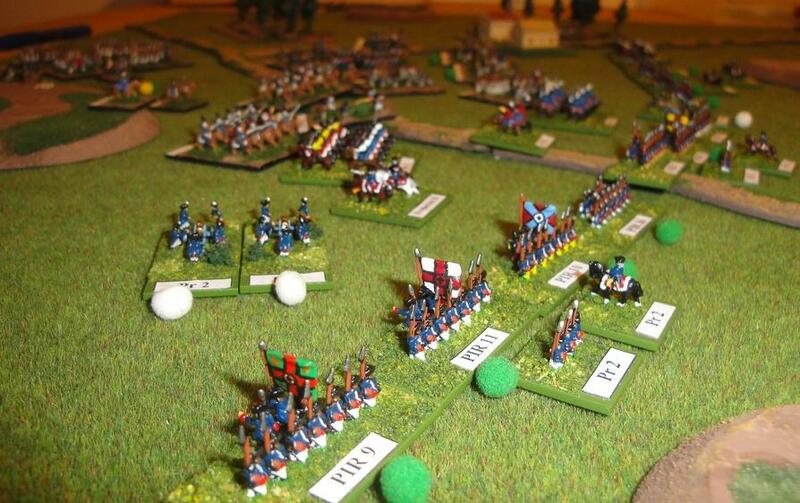 By 3pm the Prussians had deployed to pin Friant’s Division on the French left. Friant’s Division was had pressed by the Prussians opposite until elements of Hulin’s Division were able to stabilise the situation. Below, the situation around 3pm, the 48th Ligne and 108th attempt to attack two Prussian Guard regiments. Meanwhile Prussian artillery bombarded the vulnerable French right. With casulaties mounting the 13th and 17th Ligne charged a small concentration of Prussian cannon, shown below, in an attempt to regain the initiative. 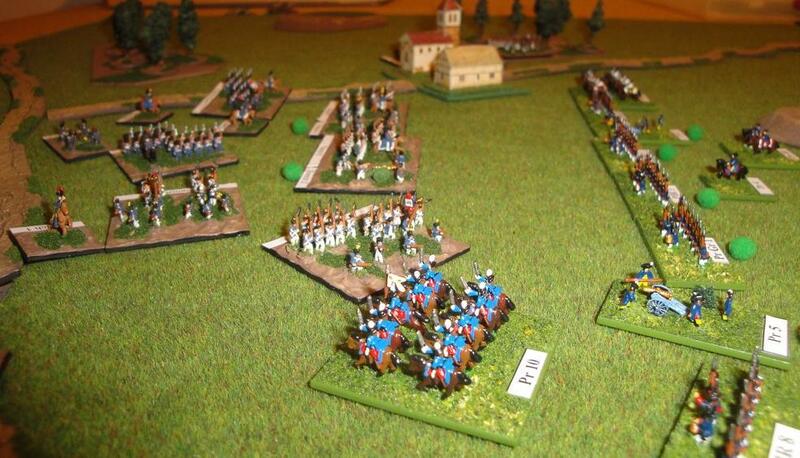 The 17th Ligne were soon themselves charged by Prussian cavalry, shown below. The Prussian cavalry overran the 17th, but suffered heavy casualties in the process. 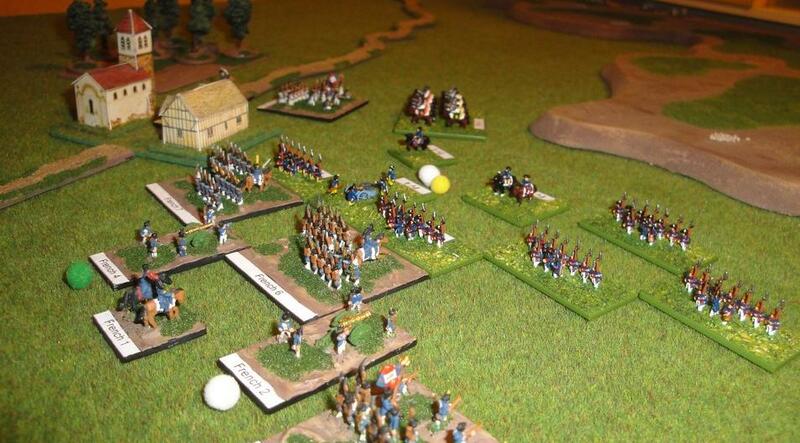 By 5pm the situation had become very fluid with both French and Prussian cavalry were involved in a series of charges. 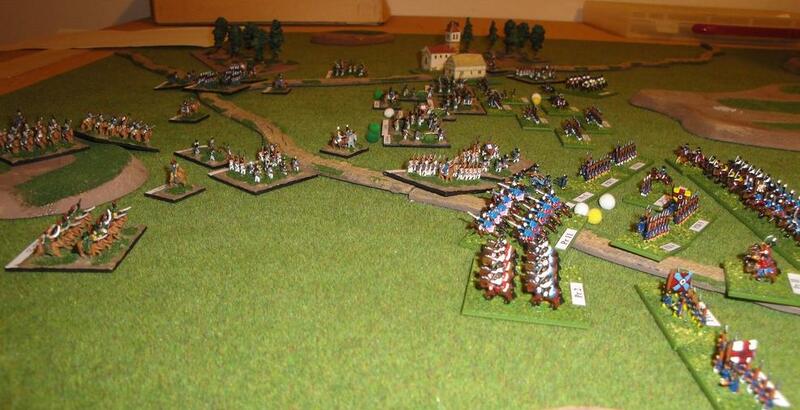 Below, the Prussians extend their left flank while cavalry are engaged in the distance. The arrival of Gudin’s Division, the third division of Davout’s Corps, allowed the French to extended their right. Soon elements of this division were thrown into the attack while three other regiments renewed attacks on what was now the Prussian centre. Frustratingly for Prince Ferdinand of Brunswick the Saxons only arrived in the area of the battle around 4pm, and even then they were three miles from the fighting. It would be a further two hours before the Saxons, some 6, 000 infantry; 2, 000 cavalry and 20 cannon, would deploy to support their Prussian allies. Their arrival earlier could well have resulted in a Prussian victory, now Prince Ferdinand could only use them to cover his withdrawal.